Faculty at Auburn University are extensively engaged in interdisciplinary health sciences research. The Auburn University Health Sciences Research Initiative is helping us harness and focus our capacity to grow our contributions to multiple areas of health that advance knowledge, benefit Alabama, and facilitate broader efforts in health sciences research and application. The AUHSRI empowers faculty to engage in discovery, innovation, and outreach in the health sciences for the benefit of all segments of society. This interdisciplinary initiative engages faculty experts from all AU colleges and schools involved in research affecting physical, mental, and social health and well-being. The AUHSRI strengthens the sense of commitment to and facilitate communication with communities and stakeholders throughout the state and beyond, encourage the sharing of resources across campus, and advance the research enterprise related to health sciences through significant extramural sponsorship. 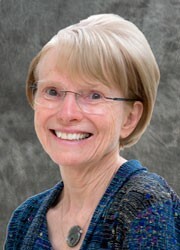 Dr. Harrison is an accomplished health sciences researcher. During her tenure at Purdue University, she has held a number of administrative titles, including Associate VP for Research, Director of the Oncological Sciences Center, Deputy Director of Purdue Discovery Park, and Interim Director of the Regenstrief Center for Healthcare Engineering. Dr. Harrison has won numerous award for her research, has authored over 65 peer-reviewed publications and has served as a member of several National Institutes of Health Special Study Sections. In her role as AUHSRI consultant, Dr. Harrison will work closely with the AUHSRI steering committee, the associate deans for research, and the interim vice president for research to help refine the vision and goals of the AUHSRI. She will engage individuals and entities internal and external to AU to develop recommendations that will help define the operational structure of the AUHSRI, and refine and focus short-, intermediate- and long-term programmatic goals that will position AU to attract and sustain significant external sponsorship for innovation in, and advancement of the health sciences. 19 Proteomics Seminar - Nicholas T. Seyfried, Ph.D.
15 Seminar: "Control-Alter-Delete: Gene Regulatory Mechanisms in Brain Reward Circuits" - Jeremy Day, Ph.D.
For questions or input, or to schedule a meeting with the AUHSRI consultant, please email Dr. David Riese(djr0009@auburn.edu), liaison to the AUHSRI.